My life is a comedy of errors sometimes. Every now and again, I find myself in situations and I can only laugh because of course it would happen to me. Gather round boys and girls, its story time. So I’m at a happy hour with some folks, I meet…let’s call her Nancy. Nancy and I hit it off, she was an engineer of sorts did something I wasn’t smart or sober enough to comprehend. She talked abut how she loved to travel but that’s what every woman says. Her and her homegirl are about to take off, she’s like okay so what’s your instagram? *record scratch* Like I remember I saw that in an episode of Atlanta but I didn’t know this happened in real life. So in my head I’m like issa curve. The next day she DMs me like I forgot to give you my number. Curve reversed. Iight bet. So anyway, I don’t really use it because I’m me. (and I got a man crate so I think I’m seeing someone but that’s another story for another time). Anyway, Nancy would hit me up randomly, we have casual conversation. Then one day, she’s like hey I’m doing an event in your area would you like to come? I’m like sure why not. She sends me the address, it’s the dance studio down the street. I go and she’s really happy to see me, a little weird because we barely speak outside of quick convos but hey. She introduces me to a bunch of people, and because it’s a studio there’s music going everyone is just dancing amongst themselves, it’s like a scene in Step Up. So then the music stops, and everyone heads downstairs, there’s a bunch of chairs around a projector. I’m like okay her event, I figure it’s some sort of community service project of sorts. There’s plenty of chairs she comes and sits on my lap. Again, kinda weird but I just roll with it. Then, this dude I met earlier gets up to speak…. So, I’m trapped. I sit through the presentation. I hear all the red flags and I can’t help but judge her. (Again, she’s an engineer). So at the end she pulls out her phone like so I think we should do it. (She was clearly in one of the photos). I’m like…uh…I’m not quite sure. Some other sucker signed up as a platinum member at that, everyone gets up to hug him and welcome him to the family. This is beyond a pyramid scheme this feels a little culty. I get up and ready to slide out, Nancy is like if we do it together we get half off or something, I’ve done sales I know game when I see game. I excuse myself to go the bathroom…she follows me upstairs. Posts up by the door. If there was a window I might’ve considered going for it. So because I don’t do awkward well, I’m like I need to sleep on it. She’s like well, I can sign you up and you pay me back. She really didnt wanna be saved but I did. Told her I actually needed to sleep on it. 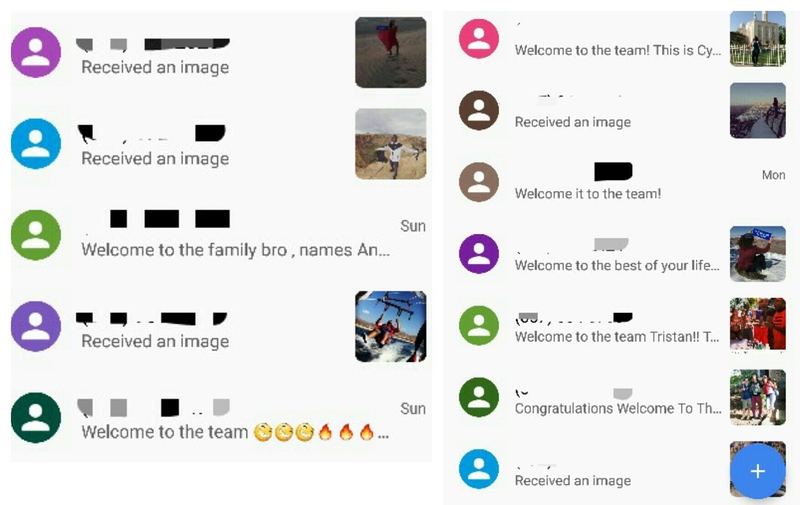 I get a text from a random number, like “welcome to the family”. She didn’t. She couldn’t. “I hope you don’t mind but some people wanted your number.” She did. So then we leave I walk her to her car, she gives me some literature and leans for a kiss goodnight. I give her cheek and I never wanted to get home more. The remainder of the night I would wonder if I was the mark or if she really liked me as I was flooded with texts from members of the travel cult. I don’t know if she lied to her “family” or actually signed me up to save face and well, I tried to save her from herself. They seemed like cool people outside of the whole cult thing, but I’ll just stick to the savings and fare glitches I’m used to. Nancy has hit me up since, I haven’t had much to say. 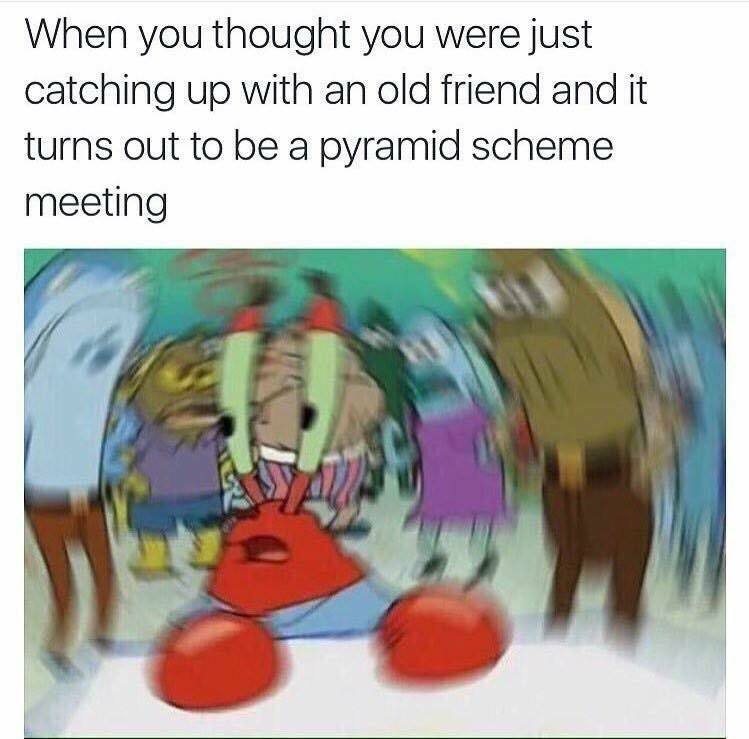 I guess travel cult pyramid scheme is a dealbreaker. And so concludes my tale of how I almost maybe might could be in a cult. Or may possibly end up on People’s Court. Hopefully, Judge Judy…she’d definitely take my side. Because this is just how my life is sometimes. Escaping through the window would’ve been a funnier ending tho.